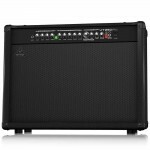 The Behringer Virtube VT50FX 60W 1x12 guitar combo amp has Bass and Treble controls on the Clean.. 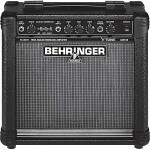 The Behringer Virtube VT30FX 1x10 guitar combo amp offers 30W of power pushed through a rugged 1.. 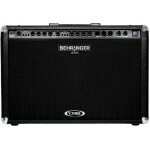 If the sweet sound of stereo is your thing, youll want to check out the Behringer VT250FX 2x50W .. 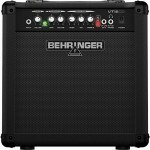 The Behringer Virtube VT 15FX guitar combo amp is armed with 15W, a custom-designed eight inch B.. 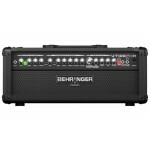 This 15-watt Behringer Virtube VT15CD 8" combo guitar amplifier was built to make practice easy. It .. 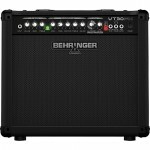 The Behringer Virtube VT100FXH guitar amp head offers all the features of the VT100FX in a piggy.. 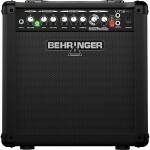 The Behringer AC108 15W 1x8 guitar combo amp puts real tube tone and vintage character in a ligh..
A tone-conquering modeling monster! Whether for practice, rehearsal, live music onstage, or..
A fantastic value! 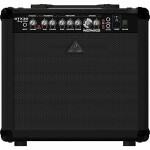 The Behringer V-Tone GM108 15W Modeling Guitar Combo Amp is an extremely v..
60W of vintage and modern sounds with digital FX. 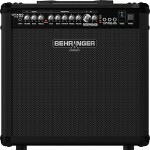 The Behringer GTX60 guitar amplifier featur..
Vintage and modern tones with digital FX packed into one affordable little amp. 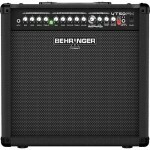 The Behringer..